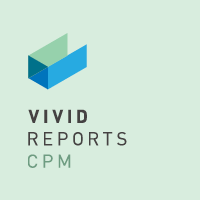 Vivid Reports CPM is built on the Microsoft technology stack. As a Microsoft Gold Certified ISV, all of the application code is written in Microsoft .Net. We utilize our proprietary database / warehouse, which runs on Microsoft SQL Server, and the client consists of a Microsoft Excel Add-In and a .Net application for the administration interface (all accessible from the Add-In). Our technology is professionally designed, developed and tested by our team of expert software engineers. Product direction, including new features and functionality, is primarily driven by the feedback we receive from our extensive user base. We also rely on our in-house accountants, business experts and partners. We constantly research emerging technologies, new releases of ERPs and upgrades to the various platforms we leverage (Excel, SQL Server, Windows) to keep ahead of the curve. We’re also continuously researching our software solutions to enable improvements and enhancements to provide a better overall user experience and value. Our extensive experience with numerous ERPs and the various environments, technologies and platforms means that we can integrate our system with just about any ERP or General Ledger data source. To date, we have integrated with close to 50 ERP systems, including systems that are based on Microsoft, IBM, Oracle and SAP platforms. Vivid Reports CPM addresses several limitations of other existing Corporate Performance Management (CPM) software solutions and is designed to handle large databases, reports, complex scenarios (both Accounting and IT) and support a large number of users without requiring long wait times or substantial computing power when someone requests a report. Vivid Reports CPM is an extremely flexible, easily deployed and affordable CPM solution. Our software is built using two components, a database that installs on SQL Server and an Excel Add-In that installs on an Excel client. Vivid Reports CPM uses the same system requirements provided by Microsoft for SQL Server and Excel. Therefore, you rarely need to purchase new hardware to support Vivid Reports CPM. Vivid Reports CPM supports SQL Server 2000, 2005, 2008, 2008 R2, 2012, 2014, and 2016. All sub-versions of each SQL Server generation are also supported (Express, Standard, Enterprise, etc.). Vivid Reports CPM requires Microsoft SQL Server to run and no other database systems are supported. SQL Server 2008 R2 / 2012 / 2014 / 2016 – Express has a free license and allows up to 1 GB of RAM and 10 GB of database size. This is often adequate for more simple installs. As long as SQL Server is installed Vivid Reports CPM will be compatible with the Server O/S including 64 bit versions. Vivid Reports CPM is often deployed through either Citrix Server or Microsoft Terminal Services. An advantage of using terminal software to deploy Excel and Vivid Reports CPM is that you do not have to install or upgrade Vivid Reports CPM on multiple machines. The bulk of the data in Vivid Reports CPM relates to the General Ledger Transactions. As a general rule if you allow 3GB of hard drive space for every 1,000,000 transactions you should be more than fine. Performing a backup of Vivid Reports CPM on a nightly basis will keep the log file reduced to minimum size as the Vivid Reports CPM database is set to “simple recovery mode” by default. Also note that in Vivid Reports CPM, you can purge transactions for historical years but retain the balances for comparison on your reports. Often one to two years of transactions are adequate for detailed analysis. Vivid Reports CPM supports Excel 2003 SP2, 2007, 2010, 2013, 2016 and Excel 365 Desktop (including 64 bit versions). There is a different client install for each version of Excel. Only one version of Vivid Reports CPM can be installed per computer at a time therefore you cannot have Vivid Reports CPM running in Excel 2003 and Excel 2010 from the same computer. Vivid Reports CPM is currently not compatible with any other spreadsheet programs such as Star Office, Open Office or Google spreadsheets. As long as Excel is installed, Vivid Reports CPM will be compatible with the Client O/S email option of Report Automation. The email automation feature is only compatible with Microsoft Outlook at this time. Vivid Reports CPM is compatible with many different ERPs and versions, including non-SQL based systems. Before you upgrade or change your ERP system please contact us. We can also assist you with the backup and restore of the Vivid Reports CPM database whenever SQL Server or Server Hardware is upgraded. Active Directory can be used by Vivid Reports CPM to make the login more convenient for your users. However, Vivid Reports CPM has separate security from the ERP and will not utilize the security settings that have already been defined. This is because Vivid Reports CPM has more granular security settings than the ERP and you can also deploy Vivid Reports CPM to users without requiring them to have a license to your ERP software.